Unlike last summer, when Robert Griffin III played sparingly in three preseason contests and attempted only 20 passes, the Washington Redskins quarterback is expected to face a heavier workload this time around. 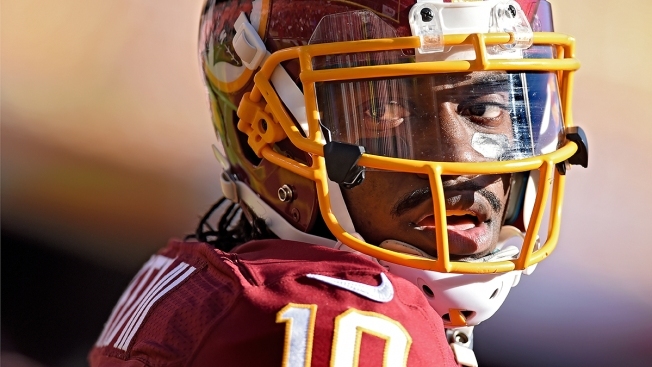 He was named the starter in February, and the Redskins have not wavered from that stance. It helps that Griffin is healthy heading into Thursday's preseason opener Thursday at the Cleveland Browns. In the past, Griffin Jr. expressed public criticism of the way former Redskins coach Mike Shanahan used his son -- and drew attention by showing up in the Redskins' postgame locker room at FedEx Field. Kirk Cousins will serve as the primary backup and says he will likely play the second and third quarters. That scenario will flip in Washington's second preseason game, when McCoy -- who appeared in five games last season and started four -- gets to play the middle of the game with the second-teamers.